Change is a constant in life, and with it comes difficult challenges. Naples Senior Center at JFCS believes no one should have to face these challenges alone. The center offers a wide range of services and programs for couples, families and individuals of all ages. Dementia and Alzheimer’s disease are a growing issue in the greater Naples area. Naples Senior Center at JFCS provides Dementia Respite Support programs that benefit those struggling with cognitive disorders as well as their caregivers. Groups meet weekly for four hours, providing stimulating activities for group members and respite for caregivers. Learn more about dementia respite groups in Naples and Marco Island here. Loneliness and isolation are the reasons many seniors turn to the Naples Senior Center at JFCS. The Geriatric Case Management and Support program works with seniors to help them age safely in place. A team of professional geriatric case managers provides comprehensive assessments and develops individualized care plans that meet the needs of seniors with a goal of maintaining independence as much as possible. A network of vetted volunteers visit home bound seniors for regular wellness checks, companionship, transportation to appointments and other services as needed. The Naples Senior Center Holocaust Survivor Program improves the quality of life for Jewish Nazi victims living in the greater Naples area. The goal is to enable survivors to remain in their homes and live their remaining years safely, and with dignity. Geriatric case managers provide services to survivors including socialization activities through the senior center, as well as financial and food pantry assistance. Staff serve as advocates with entitlement programs such as the Blue Card to help survivors access benefits whenever possible. Learn more about the Case Management and Support programs here. Emotional support services at Naples Senior Center offer support for seniors and families struggling to cope with life’s challenges. Emotional support services are provided by a Florida licensed clinical social worker and are strictly confidential. 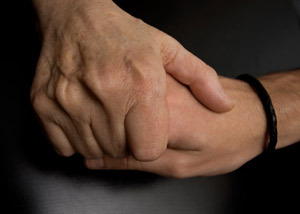 Learn more about emotional support services provided by Naples Senior Center here. Food insecurity can happen to anyone at any time. The loss of a job or a spouse can trigger the need for additional support to put food on the table. Naples Senior Center’s Food Pantry is here to help. The pantry is open to everyone in the Collier County and southern Lee County communities regardless of age, race or religion. Learn more about the food pantry or make an appointment to receive food assistance here. Naples Senior Center is the central address for people ages 60 and over to socialize, stay active and learn. Weekly classes and programs give seniors opportunities to engage in stimulating activity in a safe, nurturing environment. Visit our programs page for more information on upcoming events or to view our calendar. 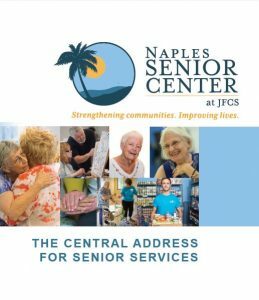 Naples Senior Center at JFCS partners with the Harold Grinspoon Foundation to bring free Jewish storybooks to children between 6 months and 8 years old. The PJ Library program shares stories that can help Jewish families talk together about values and traditions that are important to them. Learn more about the program and volunteer opportunities here.